Smartphones can really enhance your riding experience. 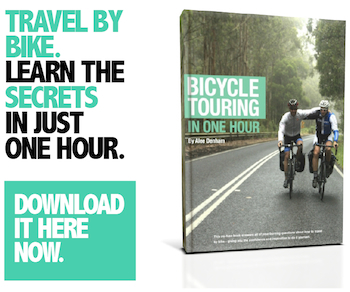 If setup correctly, they’ll assist you with bike navigation and will collect a bunch of metrics like speed and distance – and if you want, you can even track your ride. 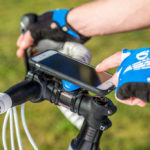 Smartphones are not just great for navigation and data, I like having them on my handlebars so that I can briefly catch my incoming calls and messages while I ride. I’ve used the Quadlock for years now and am still super happy with the product. The case is slim, the mount is highly effective and the system is light. Here’s my Quadlock Review which resulted in a perfect score. I’ve been using the Quadlock case daily since 2013 and couldn’t be happier with the product. 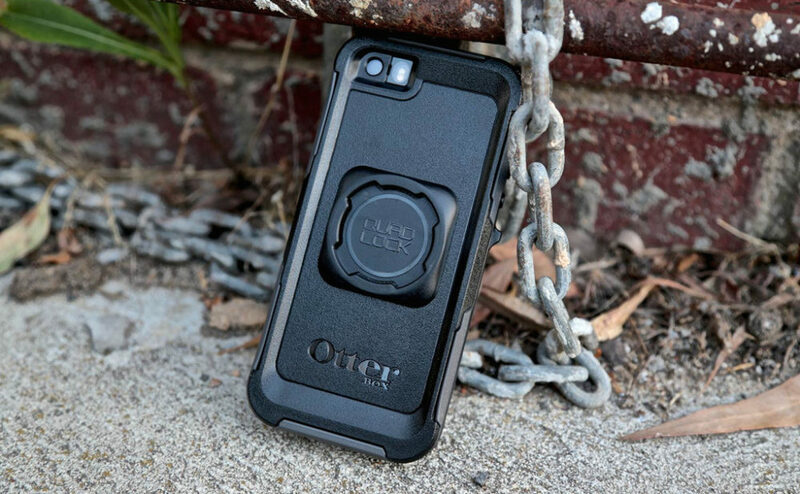 If you find the Quadlock case too bulky, you use an Android phone, or you already have a nice waterproof (and shockproof) case – check out the Universal Mount by Quadlock. This product employs an ultra-strong adhesive sticker which will allow you to mate your favourite case with the Quadlock Bike Mount. Using the Quadlock Universal Mount, you can ride with an Otterbox case. 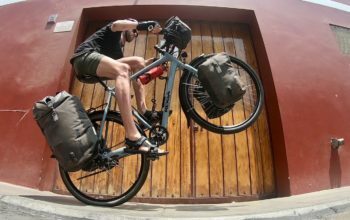 Some cases are designed to stay permanently onto the smartphone, while others are designed to be used just for the purpose of going for a bike ride. 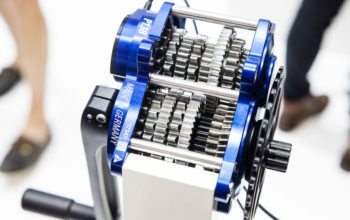 The following cases mount in different ways: some onto the stem, some onto the handlebar, some can mount in front of the stem and others will come directly off headset top cap. Some cases are 100% waterproof which can be a good idea because rain can start to fall pretty quickly. A waterproof mount also means you won’t need to stop and put your phone in a safe place. The drybag design isn’t the most user-friendly because it blocks the speakers and microphone from your phone. If you want to go waterproof, I’d suggest a hardcase with an enclosure. BBB Patron i6 – Slim iPhone case which can be mounted to the handlebar, stem top cap or out the front. Biologic Bike Mount Plus – Heavy duty weatherproof case that mounts to the stem. Biologic Dry Bag Case – Waterproof drybag case which reduces the phones functionality. Biologic Weathercase – The Weathercase zips your phone into it, keeping it dry. The design does reduce the phones functionality. Proper Bike Mount Case – This is a super neat slimcase, which mounts to the stemcap using magnets. 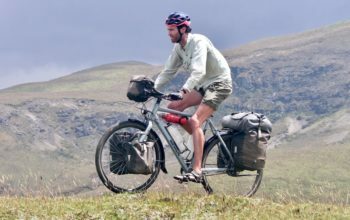 Quadlock Bike Kit – My pick of case, slim design, lightweight, effective, comes with waterproof ‘poncho’. Rokform Protective Case – Decent smartphone cases with a nice topcap mounting system. Topeak RideCase – The slimmest case that Topeak offer. Topeak Smartphone Drybag – Waterproof drybag case which reduces the phones functionality. Topeak Weatherproof RideCase – Protection against water and dirt, additional protection. Proper Bike Mount Case, Biologic Weathercase, Biologic Dry Bag Case. BBB Patron i5 – Slim iPhone case which can be mounted to the handlebar, stem top cap or out the front. Biologic Hard Case – Heavy duty weatherproof case that mounts to the stem. Biologic Smartcase – This slim shockproof case will be available soon. Bontrager iPhone SafeCase – Medium protection, relatively slim case which uses the BarFly mounting system. Ibera Bike Cam Case – A neat, slim, stem mounting case. Ibera Waterproof Case – Waterproof drybag case which reduces the phones functionality. Lifeproof Bike & Bar Case – Heavy duty case with a clunky looking mount. Optrix XD5 – Super heavy duty case which turns your smartphone into an action camera. Comes with a wide angle lens and BarFly mount. 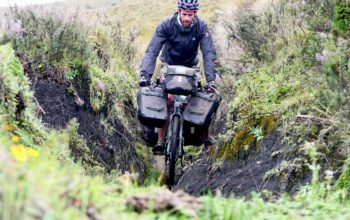 Quadlock Bike Kit – My pick of case, slimmest design, lightweight, effective, comes with waterproof ‘poncho’. Scosche reqKASE – This all-in-one silicone case and mount is a neat design, although cumbersome off the bike. 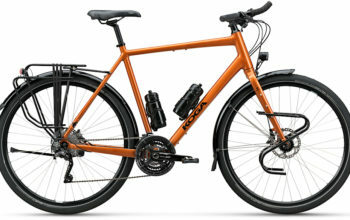 The Joy Factory aXtion Go Bike – Heavy duty weatherproof case. Unfortunately the handlebar mount is pretty clunky. The Joy Factory StormCruiser – Over-the-top hardcase which comes with a pretty clunky mount. Topeak Weatherproof RideCase with Powerpack 3150mAh – Waterproof, inbuilt battery adding 1.5x charges, neat mount. Wahoo ProTKT – Heavy duty weatherproof case that employs a neat stem mounting system. Scosche reqKASE, Optrix XD5, Topeak Ridecase with Powerpack. 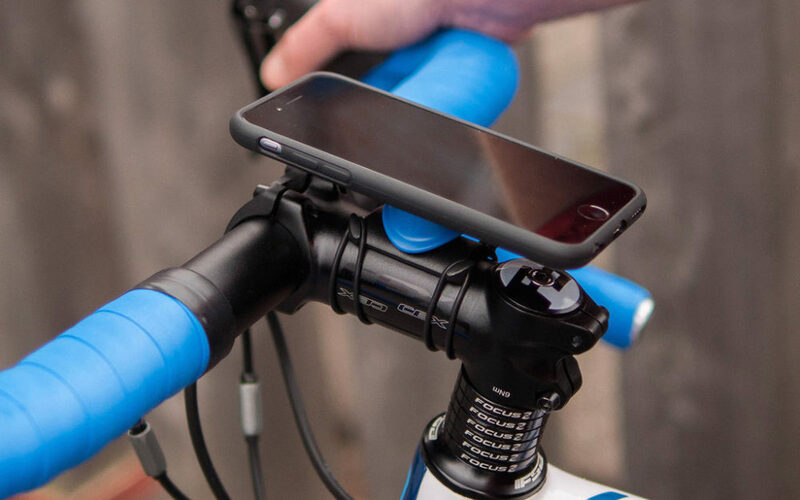 BBB Patron i4 – Slim iPhone case which can be mounted to the handlebar, stem top cap or out the front. Biologic Bike Mount – Heavy duty weatherproof case that mounts to the handlebar. iCarry Bike S – Heavy duty case with a clunky looking mount. Does come with a speaker amplifier though! Optrix XD4 – Super heavy duty case which turns your smartphone into an action camera. Comes with a wide angle lens and BarFly mount. Topeak RideCase, Wahoo ProTKT, Biologic Bike Mount. Biologic Dry Bag Case – 4″, 5″, 6″ – Waterproof drybag cases which reduces the phones functionality, but will keep it dry. Bontrager Insta-Mount Phone Case Adapter – The Insta-Mount can wrap around any handlebar and is compatible with the Blendr stem system too. Ibera Waterproof Case – Waterproof drybag cases which reduce the phones functionality, but is guaranteed to keep it dry. LifeProof LifeActiv – Bar mount with adhesive patch which will connect to any case. Quadlock Universal Bike Kit – This adhesive mount will attach to any smartphone case, allowing you to take advantage of the Quadlock system. Rokform Universal Pro Series Bike Mount – Rokform make a topcap and handlebar universal mount for Android phones. Topeak Smartphone Drybag (3-4″, 4-5″ and 5-6″ sizes) – Waterproof drybag cases which mount off your bar or stem. Topeak Tablet Drybag (upto 8.5″) – This sturdy mounting kit is one of the only ways to get your tablet on your bars. 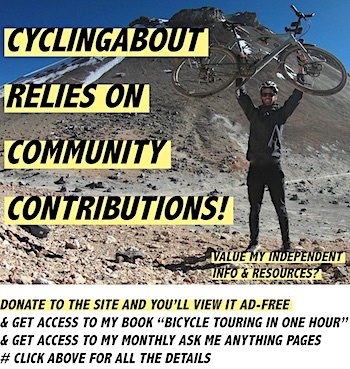 Velocity Clip Bike Mount – Quite a clunky universal mount, but will do the trick. Ibera Waterproof Case, Quadlock Universal Mount, Velocity Clip Bike Mount. Biologic Weathercase – HTC One, Galaxy S4, Galaxy S5, Sony Z2, LG G3 – Waterproof drybag case which reduces the phones functionality. Quadlock – Galaxy S4, Galaxy S5 – My pick of case, slimmest design, lightweight, effective, comes with waterproof ‘poncho’. Rokform Protective Case – Galaxy S3, S4, S5 – Decent smartphone cases with a nice topcap mounting system. The Joy Factory StormCruiser – Galaxy S3 – Over-the-top hardcase which comes with a pretty clunky mount. Topeak RideCase – Galaxy S3, Galaxy S4, HTC One M7 – The slimmest case that Topeak offer. Alternatively, you can buy generic universal handlebar mounts and use the case of your choice.